For a sub-$1000 camera, the Sony NEX-6 is an incredibly complex, mature and full-featured product. From a class-leading high-resolution OLED electronic viewfinder to a traditional mode dial, two control wheels, articulated LCD screen, verstatile AF system, Wi-Fi connectivity and 10fps burst shooting; it has everything a camera needs in order to be a serious proposition for the discerning enthusiast. The menu system might be quirky but the camera offers so many customisation options that pretty much everyone can tailor the user interface to their needs and tastes. The camera could certainly do with a slightly more sensitive shutter release, quieter shutter and a few touchscreen-based functions – but apart from these minor annoyances and omissions, the user experience it delivers is nothing short of fantastic. 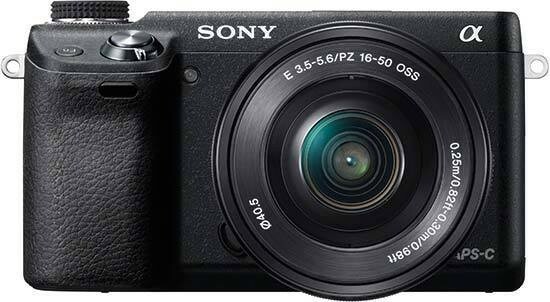 In terms of image quality, the Sony NEX-6 is as good as any other camera with an APS-C sized sensor. The photos it produces tend to be well-focussed and sharp, with good detail throughout the frame. High-ISO performance is pretty impressive, flash exposures are spot on, colours and tonality are generally excellent, and the customisation options for JPEGs are dazzling. The 11 Picture Effects quickly produce special looks that would otherwise require you to spend a lot of time in the digital darkroom, while the 6 Creative Styles provide a quick and easy way to tweak the camera's JPEG output. All this goodness is delivered in a remarkably compact package – with the new collapsible, motorised kit zoom, the Sony NEX-6 fits fairly easily in a large coat pocket, and is perfectly at home in a small camera bag. The new lens does come with a few compromises, including longer-than-usual start-up and wake-up times, fairly strong distortion and noticeable corner shading wide open at the extremes of its focal range; but it's sharper than you'd expect and much more convenient than the oversized 18-55mm kit zoom that Sony used to bundle with earlier NEX cameras. Unless you find the 24-megapixel sensor, standard microphone jack and Tri-Navi user interface of the more expensive NEX-7 – or the touchscreen-based functionality and lower price of the NEX-5R – more appealing, the NEX-6 is probably the best Sony compact system camera you can buy at the moment. As far as the competition goes, the latest crop of Micro Four Thirds cameras – particularly the Olympus OM-D E-M5, Panasonic Lumix G5 and Lumix GH3 – tend to boast faster auto focus systems, quieter shutters and a wider selection of lenses but the ultra high-resolution EVF, highly customisable user interface and larger sensor of the Sony NEX-6 definitely make it worth considering.